What is the first thing that comes to mind when I mention Kia? Is it the old-school, ho-hum-looking, small and underpowered cars Kia used to make? Or, does the newer generation of techy, funky, and progressively cool-looking cars come to mind? Kia has worked hard the last several years to rebrand its image and up its reliability and desirability throughout its entire line-up. Have they succeeded? We say absolutely. And if there were any doubt, the 2014 Kia Forte should be the last time anyone (including us) mentions the Kias of yore. 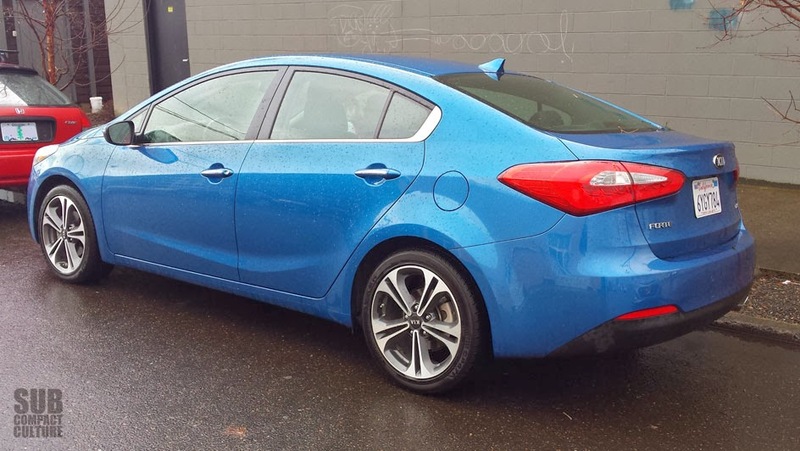 We just spent a week with a fully loaded 2014 Abyss Blue Kia Forte EX. This brightly colored car has a list a mile long of features, benefits, and cool things to explore. Under the hood, the Forte EX sports a 2.0-liter four-cylinder GDI (gasoline direct injection) engine making 173 hp and 166 lbs./ft. of torque. This powerplant is coupled to a six-speed automatic transmission that includes a “Sportmatic” function for manual gear shifting ability. The powertrain is satisfyingly refined with surprisingly low noise/vibration/harshness levels. And while we liked the last Forte we tested in 2010, the new Forte is definitely a step in the more refined direction. I’d say this powertrain is now right up there with the big dogs in the segment. The new Forte continues to impress once on the road, thanks in part to its remarkably solid build quality. There wasn’t a single squeak or rattle in the thing, even when driving over the course aggregate roads here in the Pacific Northwest. I’ve been in cars twice the price and had quite a few rattles. This Forte is extremely tight. Adding to its high-end demeanor is the fact that the car is responsive and sure-footed, plus it makes good use of its power, and has a lively personality. 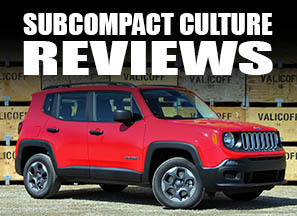 There’s plenty of gusto for passing, and it cruises easily at the upper realm of highway speeds. Plus the ride is just right. Not too plush, not too stiff. 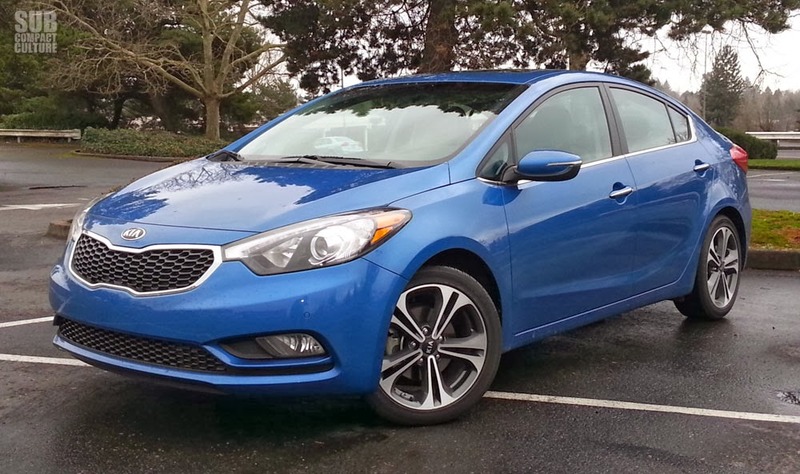 And while I hadn’t generally equated Kias and good steering feel, the Forte surprises again. Plus, it’s go three steering modes: Normal, Comfort, and Sport. These variable ratios allow for exactly what they advertise. 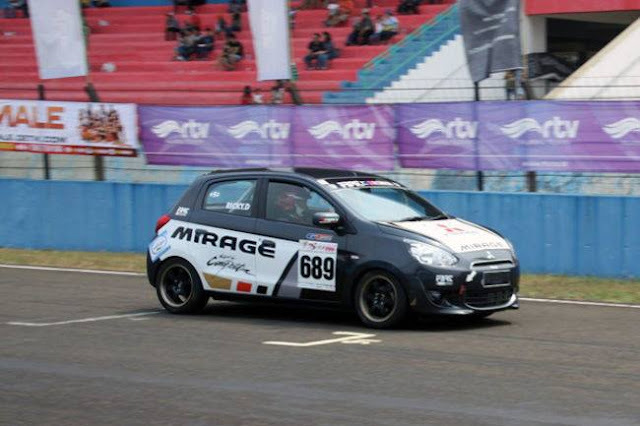 The Sport is particularly quick, and is great for those twisty roads or tight cloverleaves. I’d venture to say the Kia Forte is quickly encroaching on the preciseness and responsiveness of cars such as the VW Jetta and Mazda3. Yes, it’s that good. If you were wondering, this Forte is rated at 24 city, 36 highway, and 28 combined MPG. We got just about 30 combined. Wrapped in electric blue, this Forte showcases 17” alloy wheels, front and rear disc brakes with ABS, as well as luxury-listed power folding side mirrors with turn signals. The car has gobs of lighting goodness too: LED positioning lights, LED taillights, Xenon headlights, puddle lights, and fog lights. I really appreciated the puddle and door handle lighting, as it was easy as pie to see your surroundings when you got into your car quickly, especially during inclement weather. And while the overall exterior styling isn’t necessarily groundbreaking, it certainly is modern and sleek—much more so than the previous generation. I couldn’t help but notice that the taillights resemble a Ford Focus sedan … or maybe it’s the other way around. Regardless, the overall look is appealing. I only wished the machined and painted alloy wheels were different; they’re just not my thing. Inside the Forte, Kia offers an audibly pleasing AM/FM/CD/MP3 touch-screen audio stereo system with USB and aux inputs, Bluetooth connectivity, a free three-month subscription to Sirius satellite radio, push button start with smart key, auto dimming mirror with homelink, rear camera, automatic climate control, navigation, and UVO eServices. That’s a lot of goodies. It’s also spacious and comfortable, and that includes the back seat. Oh, it’s got a huge trunk, too. In addition, you might say Kia has turned the heat up: The car has heated rear seats, a heated steering wheel, as well as a heated (and air conditioned) driver’s seat. Don’t worry, the passenger’s seat is also heated. There’s also driver’s seat memory, and you can set two different driver positions so both you and your significant other can easily pop in and drive. Did I mention this was a compact sedan? Most of these are things you just don’t find in most C-segment sedans. In addition, the interior features soft-touch surfaces, a modern and pleasing overall feel, and that aforementioned build quality. Really, the Forte has gone world class. Many of these tasty car morsels were previously only available on high-end luxury cars, but now you can get a lot of these features in a car that costs half than, or less than half that of its luxury cousins. Speaking of costs, this ’14 Abyss Blue Forte EX will set you back $25, 515. But with all the trappings this sedan offers, it’s pretty appealing Really, this is the best compact car Kia has ever offered in the U.S., and the competition should take note, because it’s really all that. SX turbo hatch with 6-speed manual looks like the one to have.